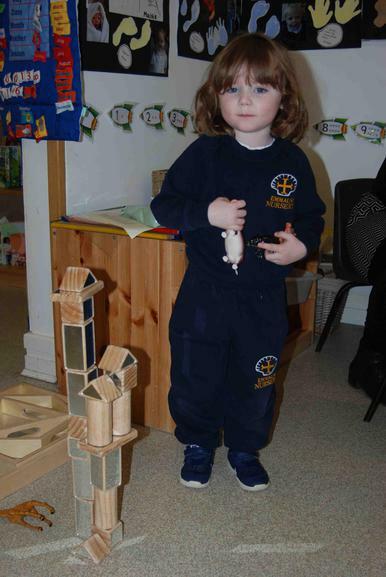 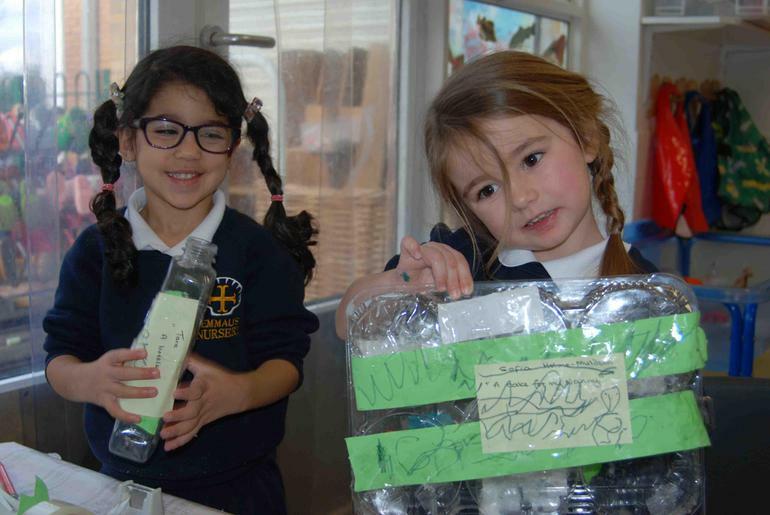 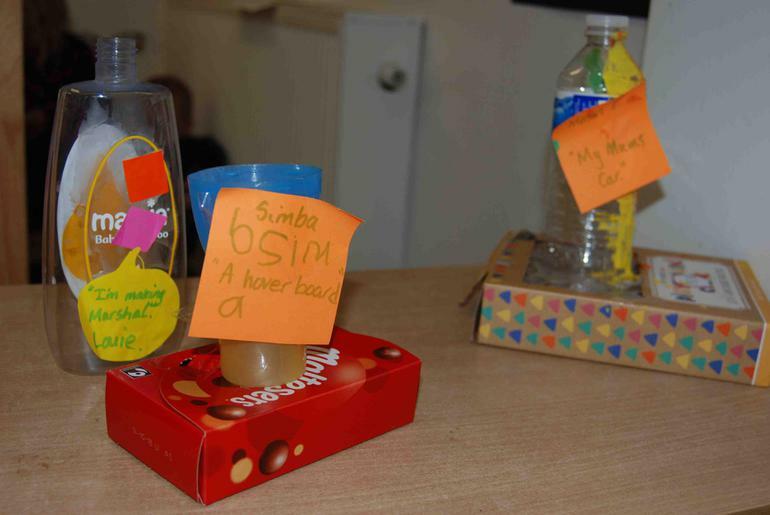 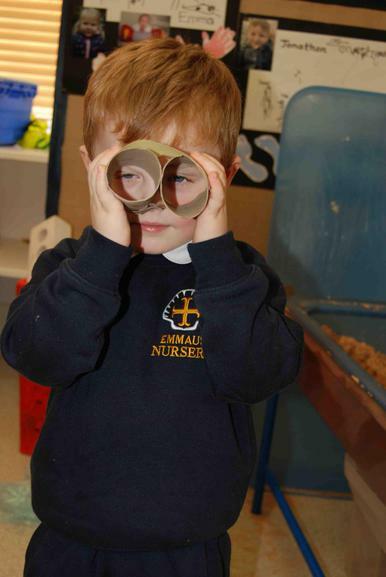 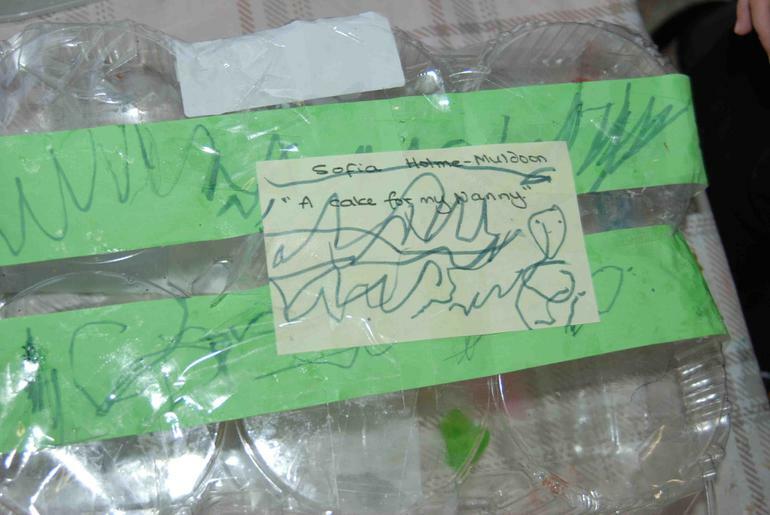 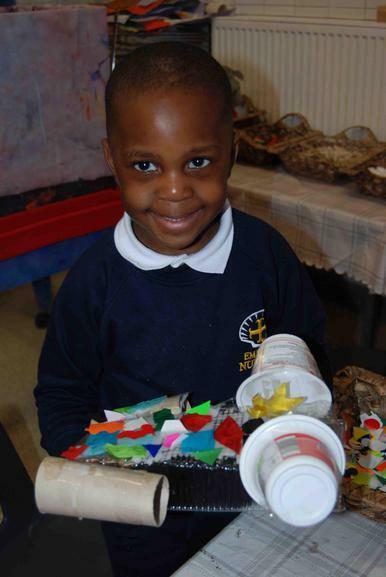 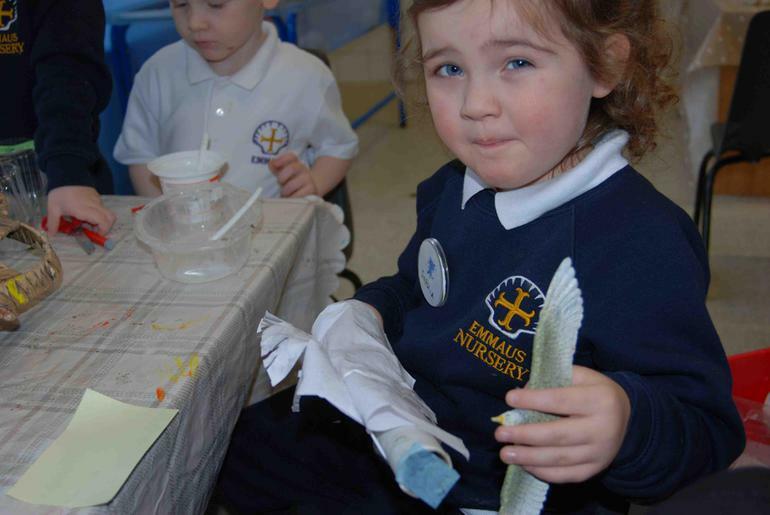 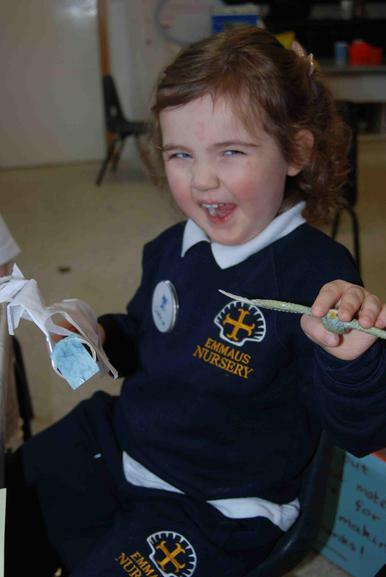 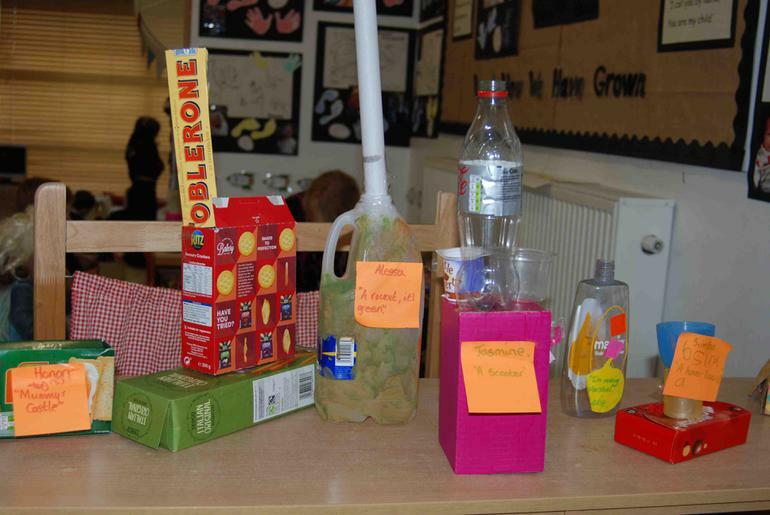 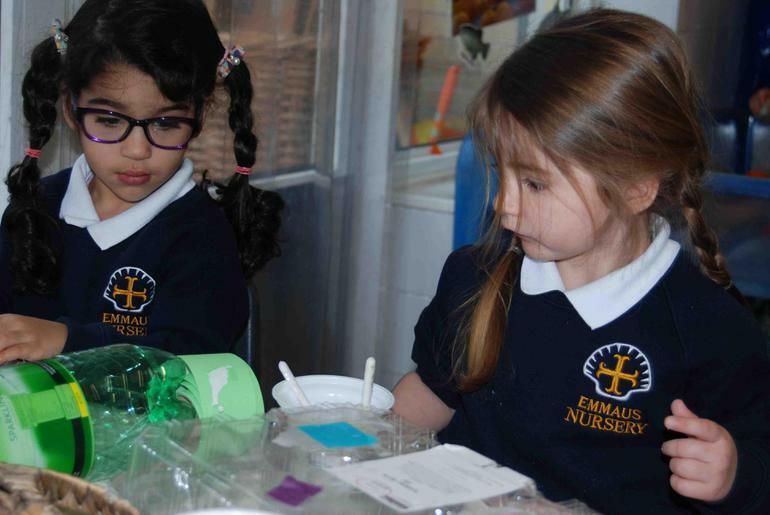 The children demonstrated good concentration and imaginative skills when creating models from recycled materials brought from home. 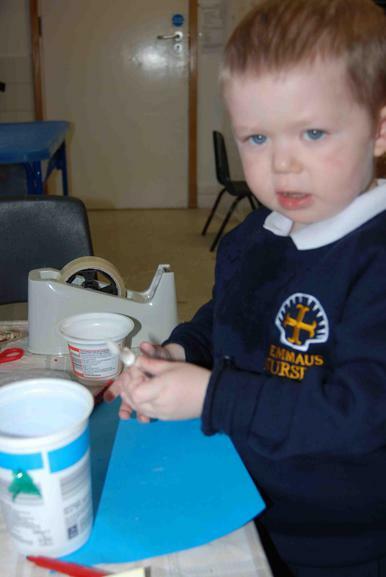 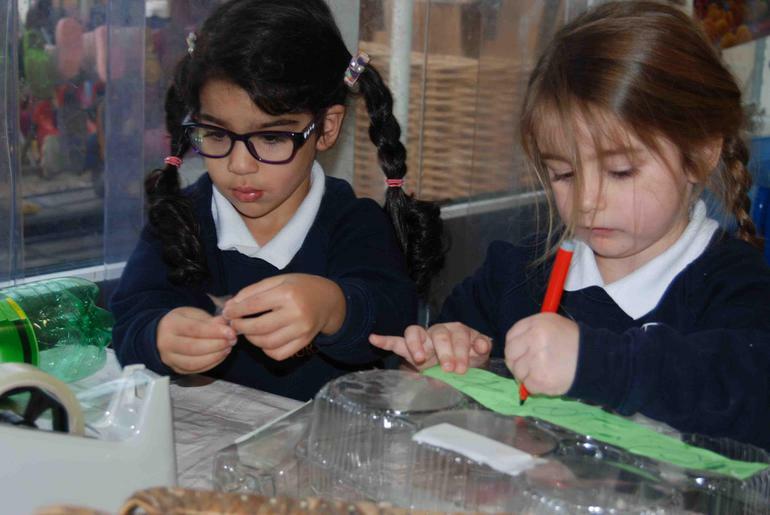 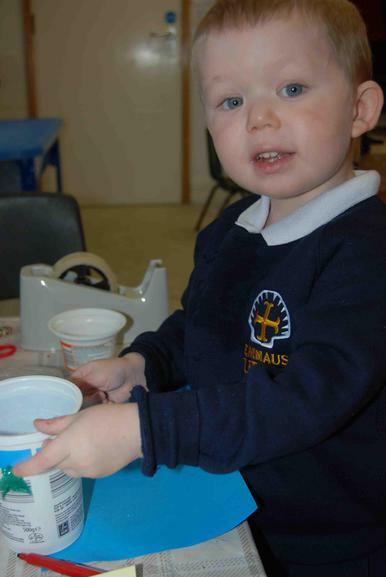 They developed their cutting and joining skills, hand eye co-ordination, use of mixed media, their confidence and logical reasoning as they talked about what they were building. 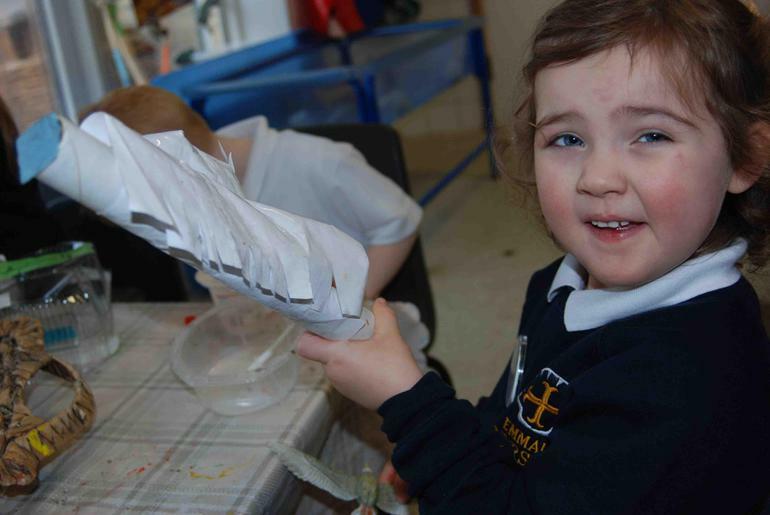 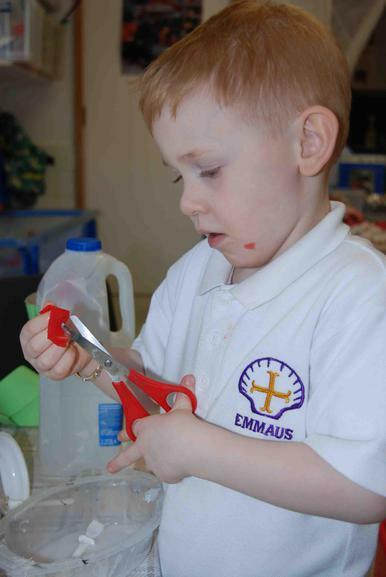 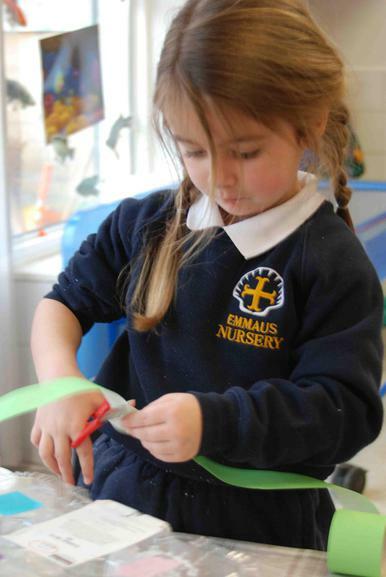 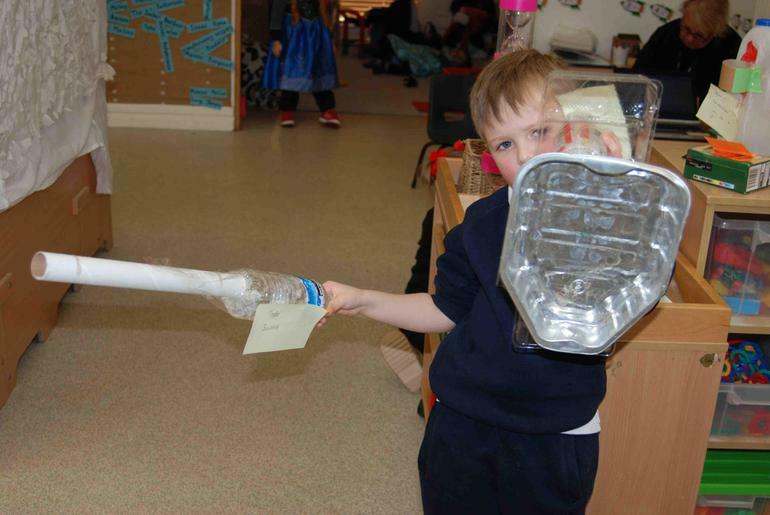 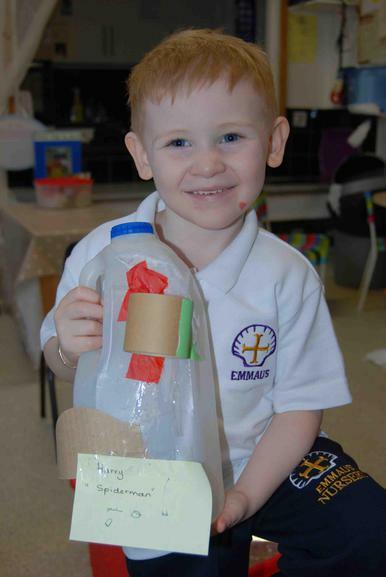 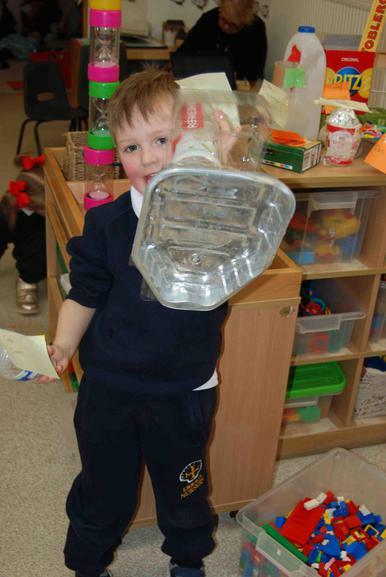 Children created boats, a seagull, Spiderman, castles, rockets and even a shield and sword from the story of David and Goliath (read as part of our Collective Worship theme 'courage').